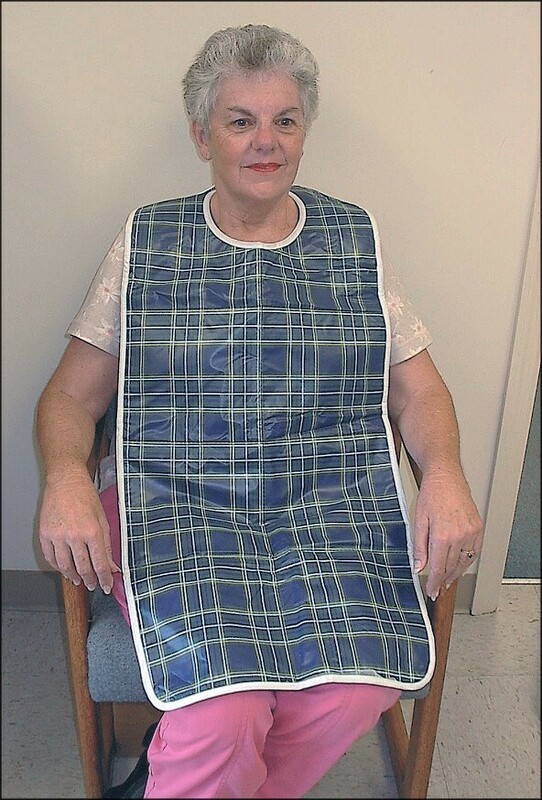 This deluxe plaid vinyl adult bib and clothing protector is constructed of 100% waterproof vinyl, which is easily wiped clean after each use. Easy wipe clean vinyl protector never needs to be machine washed. Attractive plaid design promotes individual dignity.